Silt build up is keeping fishermen at bay while the hundreds of billions of dong Quang Ngai has spent developing fishing infrastructure appears to have been lost to shoddy, ineffectual projects. The My A estuary at the end of Tra Cau River in the central province’s Duc Pho District has been drastically narrowed over the last decade due to sand and earth deposited at the sea mouth by the river and ocean tides. Some 300 boats used to regularly enter and exit My A each day, but now only about 200 small-capacity boats can fit in the narrow lane. Each year, when rough seas narrow local waterways, the government has mobilized funds from fishermen to hire dredge the passages. However, after each rainy season, the estuaries and channels are filled up again with silt and sand deposits. A shelter harbor project was established early last year to tackle the issue with VND90 billion (US$4.7 million) in funding. The project was set to dredge passages leading to the harbor, and build a fishing harbor, a shelter for about 400 boats, as well as a dyke to hold back waves and sand. But since the dyke was has been completed, sand intrusion has become worse as wind from the sea is blocked by the dyke, allowing more sand from the river to settle at the sea mouth. The conditions are similar at the Sa Huynh Estuary, 20 kilometers south of My A. Passages to the Sa Huynh fishing port, which opened in 2008, have been silted while the harbor’s signal light system has also been damaged by sedimentation. In other problems for local fisherman, the Tinh Hoa Shelter and Harbor, a VND4 billion (US$211,000) facility that opened in Son Tinh District in 2008, rarely sees any traffic as most captains say they are afraid of hitting a high-tension line running across the entrance. They avoid the area altogether, especially since silt accumulation has narrowed the area’s entrance, making collision with the electric cable more probable. 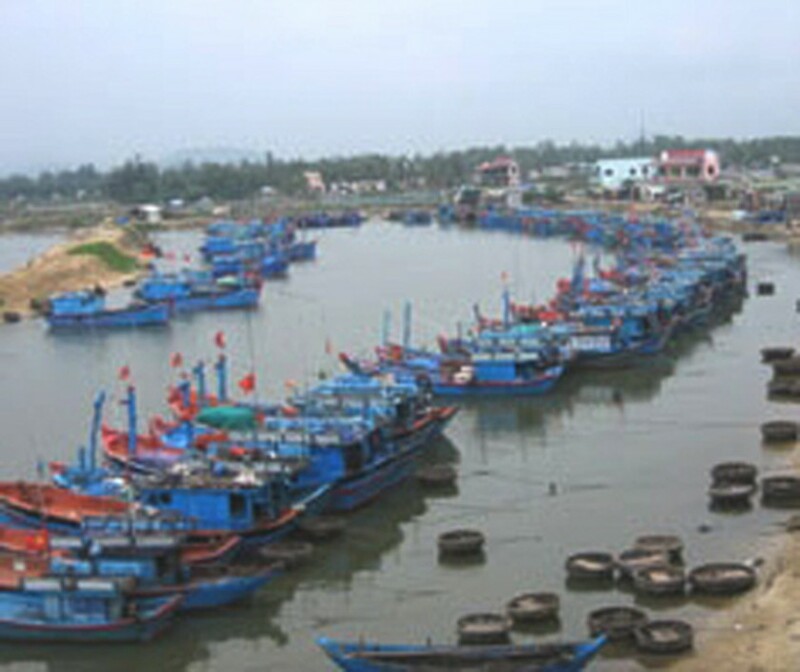 Quang Ngai Province has spent over VND300 billion (US$16 million) building fishing ports and shelters to help boats in Son Tinh, Ly Son and Duc Pho districts avoid storms. However, some of the facilities are now dilapidated and even dangerous, prompting captains to avoid them. A representative from the province Department of Agriculture and Rural Development said that much of the work on the facilities had been slipshod and planning had not been thorough. Several projects that have only been completed in their first phases have been operating for years without the funds to begin their second phases, he said. 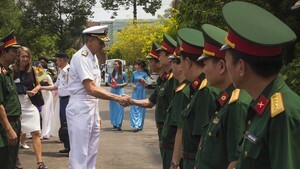 For instance, the second phase of work on the Sa Huynh fishing port was never begun. The semi-completed work was not even officially evaluated before it opened. Meanwhile, several sections of sand-prevention dykes were not completed and a large amount of sand has been found encroaching on the area each year, forcing large-capacity boats to moor at other harbors.